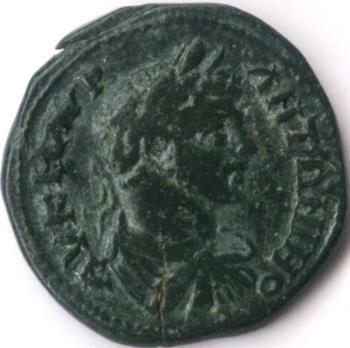 The pictures of the first ancient coin of Kallatis above are present on Romanian coins through the kind permission of Mr. Ion Şerban, collector of Pontic coins. The pictures of the second ancient coin above are present on Romanian coins through the kind permission of Mr. GLV. 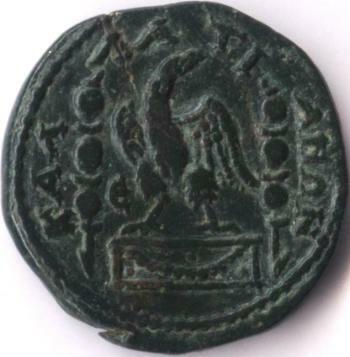 The coin corresponds to the description at number 295 in the Moushmov catalog and is described in AMNG I at position 320 (AMNG = Die antiken Münzen Nord-Griechenlands, B. Pick, 1898).